Located In: Forest Lake, Washington County. 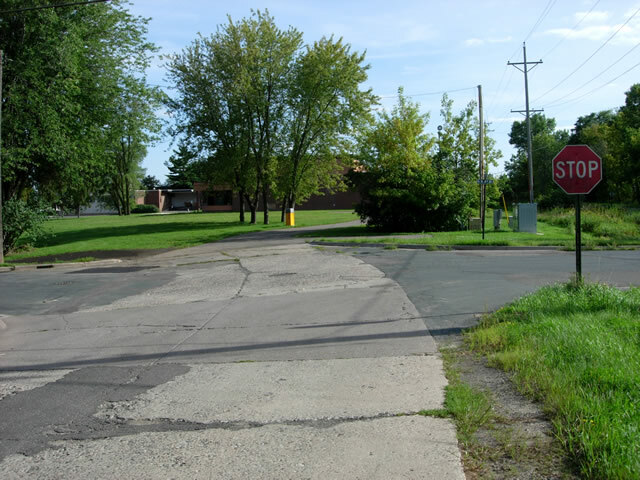 U.S. 61's original alignment out of the north side of Forest Lake was along what is now 1st Street, a city street one block to the west of the highway's current alignment. The surviving stretch was graded in 1925 and paved with 18 feet of concrete in 1926. 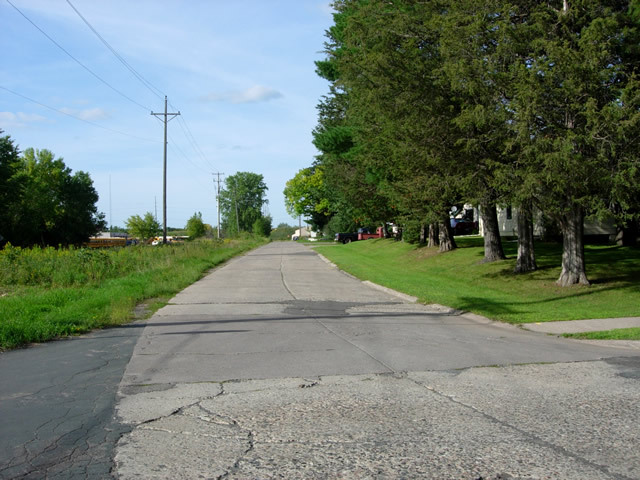 The old highway was bypassed in 1949 by the modernization of U.S. 61 between Forest Lake and North Branch. A set of very sharp curves between North Shore Drive and 4th Avenue (see map, right) were eliminated using a straighter alignment one block to the east. The new alignment was also completed as a short four-lane divided highway, part of a planned junction with a future realignment of Highway 98 (future U.S. 8). 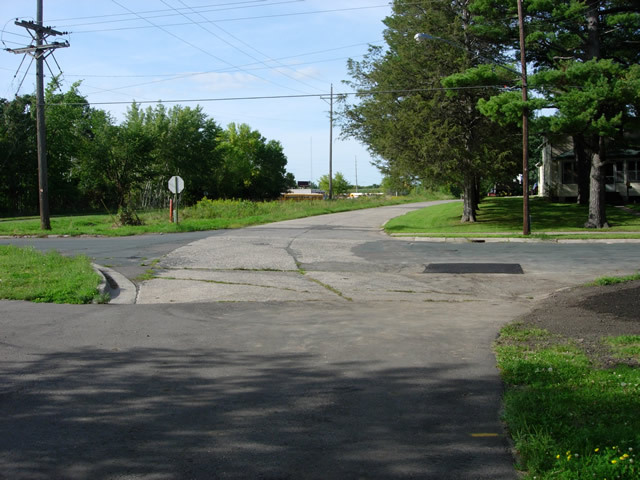 The original concrete pavement has remained intact and drivable between 4th Avenue and a dead-end at the U.S. 8 embankment. This embankment was constructed In 1969 as part of U.S. 8's connection to Interstate 35, splitting the old highway into two sections. The section north of U.S. 8 remained in use for several years as a short service drive until being abandoned in 1979. The pavement is still there, but has become overgrown. 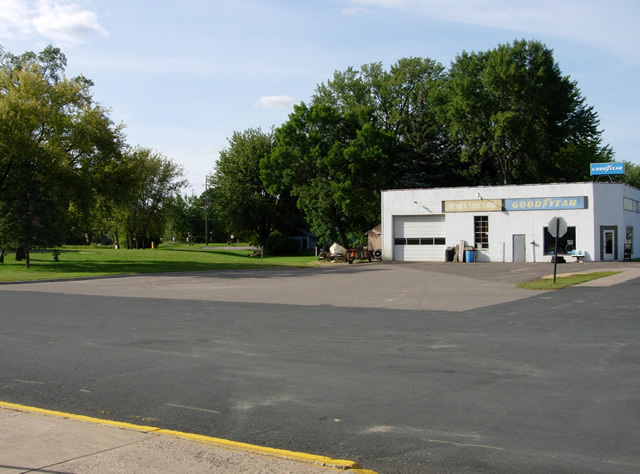 The diagonal section south of 4th Avenue was removed in the mid 2000's. Photo Tour - Photos from August, 2009. Looking northwest at 3rd Avenue and modern Highway 61. The original highway ran diagonally through the green field at left-center. Looking northwest at the south end of the original pavement at 4th Street. Note the curve in the pavement. Looking back to the south at 1st Street and 4th Avenue. Another view to the north down 1st Street from 4th Avenue, showing the pavement leading off into the distance. Also note the original integrated curb. Looking north at 7th Avenue. 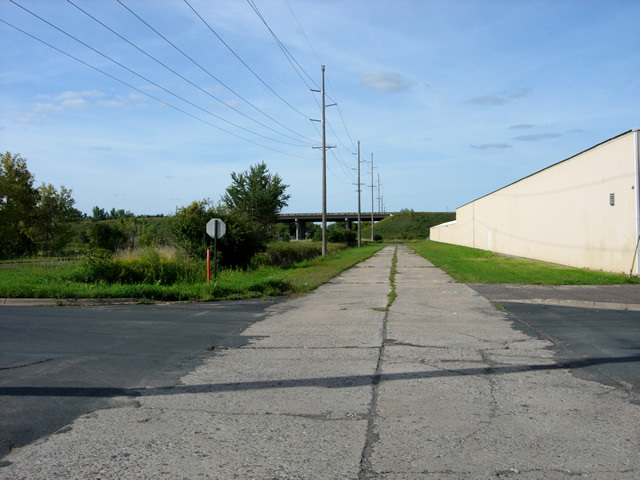 The dead-end at the U.S. 8 embankment is visible ahead. 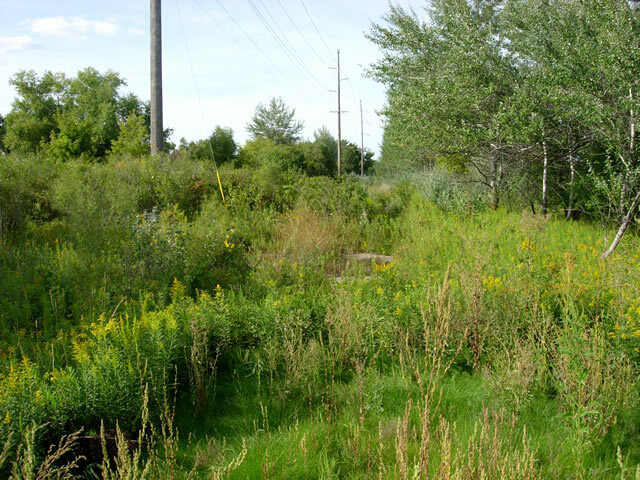 Remains of the service drive on the north side of U.S. 8 just visible between the weeds.